KOEN VANMECHELEN - Artists - CONNERSMITH. 2012, single channel video, run time: 3:00, ed: 10. 1999, single channel video, run time: 5:16, ed: 10. 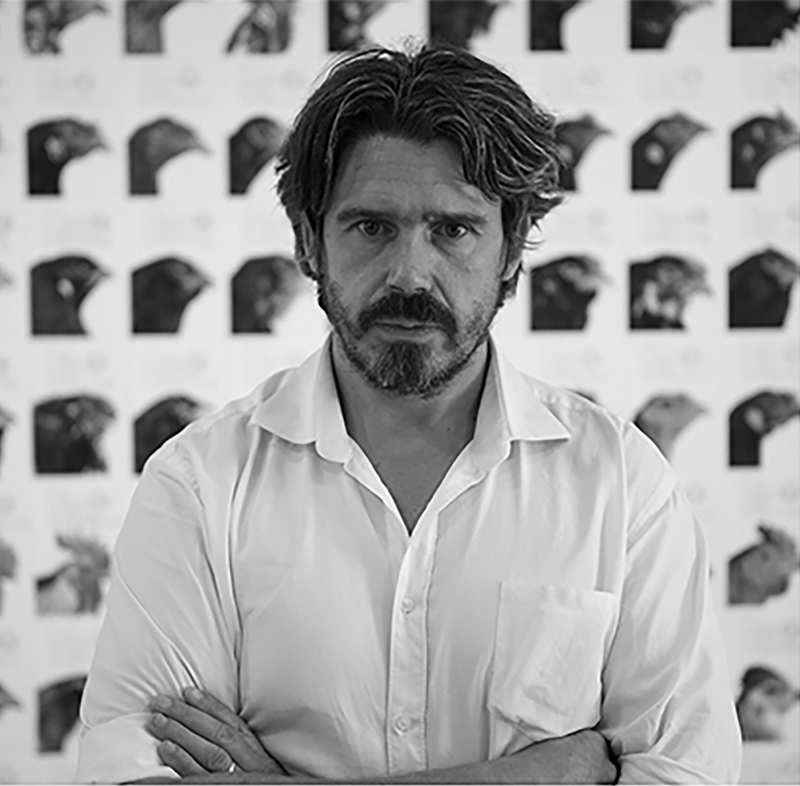 The Belgian artist Koen Vanmechelen is an internationally renowned, conceptual artist. His work deals with biocultural diversity and identity. He is mostly known for his Cosmopolitan Chicken Project (C.C.P.). Central to this project are the chicken and the interbreeding of national chicken species into ʻcosmopolitan chickensʼ. With the C.C.P., Vanmechelen positions art categorically where it belongs: in the middle of society, engaging with people, always committed. His oeuvre is as diverse and hybrid as the Cosmopolitan Chicken itself: a unique mix of paintings, drawings, photography, innovative 3D-techniques, video, installations and wooden sculptures. The unifying theme remains the chicken and the egg. But nothing is what it seems. The core of the project is neither the chicken nor the egg, but crossbreeding and the diversity that comes from it. These thoughts are expanded on at the Open University of Diversity, Vanmechelen’s breeding place covering four international foundations; Walking Egg, CosmoGolem, Cosmopolitan Chicken Research Project and COMBAT. Vanmechelen's work has been exhibited at the Venice Biennale in 2015, 2009, and 2001, as well as other prestigious international venues.